It’s time for my July Hits & Misses. This month I seem to have quite a few favourites and only a few misses. As always, I will start with the hits first and then move onto the misses. First up is the Zoeva 104 Buffer Brush. I have been using this to blend out the Neutrogena Hydrating Boost Hydrating Tint and it works amazing for blending it out seamlessly and without leaving any streaks. It has quite a dense head which makes it great for blending out products with a thicker (but not too thick) consistency and without leaving streaks or brush strokes. The head of the brush is quite large and because of that it makes a quick job of blending everything out. I purchased this from Cult Beauty for £14.99, however it is available in Arnotts and on Beauty Bay. The second brush I’ve been loving this month is the Smashbox Stippling Foundation Brush. It is a gorgeous brush for applying base products with a thin consistency. It pairs well with the the Smashbox BB Water, which is a very liquidy consistency and blends in well with this brush. I don’t like a beautyblender or a brush that’s very dense for blending out the BB Water as I find they tend to eat a lot of the product so I end up needing to use more, which isn’t ideal. Lancôme’s Hydra Intense Face Mask has been a saviour this month with the warmer weather. I found that on days where I was outside a lot my skin felt drier than normal in the evenings. After I removed my makeup and had cleansed and washed my face I applied a layer of this and left it on overnight. The following morning my skin felt hydrated, moisturised and plump. This mask is one I’ve used for years and really recommend it. It’s for combination skin but it works wonders for my dry skin. It’s expensive I know, but TK Maxx sometimes have it in for around €15. I have tried the GlamGlow Hydrating Mask (the mask in the blue tub) and while it’s okay, it doesn’t do anything major for my skin, but the Lancôme one does so I stick with it. You can purchase this from Cara Pharmacy for €39.00. There are three SPF’s I’ve been loving this summer too. Two of them are creams and they are the UltraSun SPF30 and Bioderma’s Photoderm MAX Cream SPF50+. I love the consistency of them both, I like how quickly they absorb, they’re both very light and they don’t affect how my makeup applies, looks, wears or lasts. I prefer an SPF50 for facial protection so the Bioderma is my preference, however the Ultra Sun is one I will definitely be repurchasing, but with a higher SPF. The third facial SPF I’ve been loving is the La Roche-Posay Anthelios Invisible Anti-Shine Mist. This is SPF50 and because it’s in a spray can its very handy to throw into your handbag and top up throughout the day. As the name suggests it’s a fine mist that leaves no residue or white cast over my makeup after I use it. It doesn’t make my skin look powdery or dry, it doesn’t affect how my makeup looks or wears either. This is again, something I will be repurchasing. Two body SPF’s I have been enjoying are the Bioderma Photoderm Max Spray SPF50+ and the La Roche-Posay Anthelios Comfort Sun Lotion SPF50+. The Bioderma one has a lovely lightweight formula that absorbs quickly, doesn’t feel sticky or tacky and doesn’t have a strong scent. A lot of sun creams can have a strong scent which I find off-putting but this one doesn’t. I quite like that it’s in a spray bottle too. The La Roche-Posay is also a lovely sunscreen to use and it also doesn’t have a strong scent. It’s not overly thick and it absorbs relatively quickly. I didn’t burn when I wore either of these sunscreens and I quite like them both. I would happily repurchase both and would recommend both of them. Next up is PS…. Bronze Self Tan Eraser. When we had hot weather I one day thought it would be a good idea to apply fake tan…. well it wasn’t. I was sweating so much that frankly; the tan just streaked and went patchy. I had to take the tan off so I popped on this eraser and left it on for ten minutes and I was astounded at the difference. 90% of the tan was gone. I couldn’t believe it. I really didn’t expect it to work so well considering how bad the tan was. There were some stubborn patches so the following morning I put on the eraser again and the patches that were there, were gone. I had expected them to fade slightly but not to be completely gone. This was €4, which is a steal. It made removing tan so easy and quick. I would 100% recommend this and I’ve already repurchased it! One shower gel I’ve been really enjoying this month is the Nivea Caring Sunshine Love. I don’t normally use Nivea shower gels as I prefer Palmolive, I just find them gentler on my skin. When I sniffed this in store I just had to get it. It is absolutely gorgeous. The scent of it screams summer, sunshine and holidays to me. It’s not a strong or overpowering scent by any means and it dissipates after showering. It’s quite gentle on my skin, it hasn’t caused my skin to dry out any more or caused any irritation. If you spot it in store, give it a sniff, you will love it I am sure! You can purchase this from Boots. My final three favourites are all body care products. First up is the Bioderma Atoderm Shower Oil. Avril from A Paler Shade of Beauty mentioned this on Twitter a few weeks ago and I immediately ordered it. I suffer with horribly dry skin and I will try absolutely anything at all that can help it. Body oils are some of my favourite products to use, but I haven’t found many I like. As soon as I got this I started using it and I love it. It’s become a regular use product for me and one I will continuously repurchase. This is super soothing and gentle, it leaves my skin feeling moisturised and nourished, but without leaving a film or greasy feeling on my skin which is a big plus for me as I hate the feeling of anything greasy on my skin. It’s around €18 on Feel Unique for a one litre which isn’t too bad given how long it lasts. There s a smaller 200ml size is €8. The second last skincare item is MooGoo’s Udder Cream. I attended the Lé Cheile for Oscar event and MooGoo had kindly given a full-sized tube of their Udder Cream for goody bags for everyone. I hadn’t tried this cream as I was using up some others but Céline from Honestly Céline mentioned it in a post recently so I decided to pull it out and give it a go. What a difference it makes. It is super moisturising and oh my word it has helped my dry skin so much. This is around €10 and you can be sure I will be repurchasing it. You can buy this from MooGoo.ie. It doesn’t leave a greasy feeling on my skin, but I can feel it. It does take a while to absorb fully which I’m not biggest fan of, but because of how well it works I can get over that. Because it takes a while to sink in fully I prefer to use it at night as I know when I wake up I will have soft, moisturised skin but without that sticky feeling. Ovelle Aqueous Cream is something I discovered late last year as I had extremely dry skin on my hands and nothing was helping it at all until one day a pharmacist suggested this, so I picked it up and within a week I had soft skin again. No more dry patches and no more cracked skin. I was shocked. I don’t think I’d ever used a product that had helped my hands as much, bar my Elizabeth Arden Eight Hour Hand Cream. However, even that wasn’t doing as much as this for my hands. I’ve been using the Aqueous Cream since and I cannot recommend it enough. It costs around €4 for a 500g tub and it lasts for ages. It doesn’t feel greasy or oily on my skin, it doesn’t leave a film on my skin either and it absorbs quickly too. Onto the misses now, thankfully there aren’t too many. Morphe M310 Fan Brush. I bought this brush ages ago from Cult Beauty as I had seen a few YouTuber’s (incl Jaclyn Hill) rave about this brush so when I saw it on Cult Beauty I decided to order it. When it came first I was surprised that the bristles felt cheap and flimsy and some were out of place. I’ve never been happy with this brush because I just feel that it’s not great quality. Granted it’s very inexpensive so I didn’t expect it to be high-end quality, but I didn’t expect it to feel as cheap as it does. I recently got the Smashbox Fan Brush and it is so much nicer to use. It doesn’t feel luxurious by any means, but it feels sturdy and good quality, granted, it costs a lot more. However having used both and compared them both, I can safely say the Smashbox one is my preference for applying highlighter. I would love to try some other fan brushes, if there are any you would recommend let me know, I would love to hear from you. My second miss, and the most disappointing of all my misses is the Stila Magnificent Metals Glitter & Glow Eye shadow in Kitten Karma. Full review here. I have three shades of these eyeshadows and Kitten Karma is the only disappointing one. It’s nothing like Bronzed Bell or Rose Gold Retro in quality, consistency or colour payoff. It has a watery consistency, it is quite sheer and takes three layers just to get relatively decent opacity. Both Bronzed Bell and Rose Gold Retro are much better. They have a gorgeous, creamy consistency, they apply well and have great opacity with even one layer, unlike Kitten Karma. These are quite expensive, they are £23 / €27 full price (I bought mine on sale) and for that price I would expect excellent quality. I would recommend both Bronzed Bell and Rose Gold Retro, however I wouldn’t recommend Kitten Karma. If these are something you are interested in I would try to find them instore first and swatch them before buying. I picked up Simple’s Micellar Water in Dealz recently to try and I used it to remove my makeup and boy did I regret it! I only used it once and it dried out my skin horribly and left it feeling uncomfortable, tight and slightly stingy. It’s marketed for my skin type. It just felt very harsh and didn’t do a great job at removing even the first layer of makeup (and I wasn’t wearing much makeup either). I wouldn’t recommend it at all. I much prefer Bioderma’s Micellar Water or Simple’s regular Micellar water. I’ve used both of those for a few years now and they are much more gentle and not at all drying on my skin. I don’t use them all the time though as I prefer oil or cream cleansers. But the odd time I will use a micellar water and those two brands are my go-to! Sanctuary Air Whipped Body Soufflé is something I was excited to try as I usually love Sanctuary’ s products, this however, I don’t like at all. It does nothing. It doesn’t do anything for exfoliating my skin. I’ve used it a few times and I’ve never felt or noticed a difference in my skin after it. I’ve always ended up having to use another body scrub to exfoliate. Think I paid around €5 for this, which isn’t a lot, but if this is something you were thinking of trying I would recommend using that fiver and getting a different scrub instead. The Soap & Glory Scrub of Your Life or Garnier Oily Body Miracle are scrubs I love and have repurchased multiple times so those are two I would recommend. 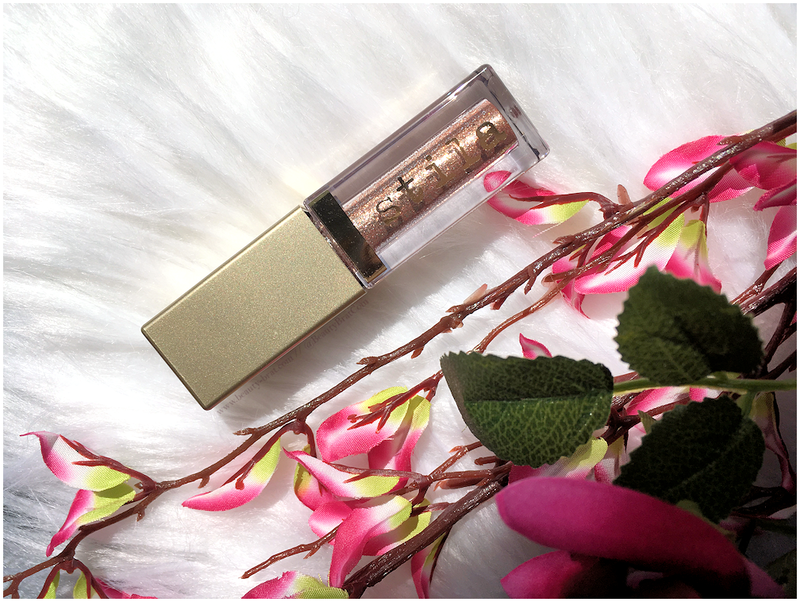 The Catrice Rock Couture Waterproof Mascara is one I was excited to try as I had read some good reviews on it. I’m almost finished it thankfully. I don’t like the mascara or wand at all. The wand is a long, straight, stiff, plastic wand that is in no way flexible. I don’t know how many times I nearly blinded myself with it trying to get at my lashes on my inner and outer corners. The formula is very wet and as a result I often find my top and bottom lashes lashes sticking together. It smudges and flakes. Within an hour of applying it, despite it not drying down I have black flakes around my eyes and down my cheeks. My lashes are clumpy and by around three hours after applying it it has smudged around my lower lashes. If you see this, avoid it. My second-last miss of the month is the PS…. Nudes Cream Metallic Eyeshadow. I purchased two shades, Heatwave and Bronzed and I have the same issue with both of them. They both crease shockingly. Not only do they crease, but they feel sticky and heavy on my eyelids. I feel like I have wet cream or something on my lids and it’s quite uncomfortable. I’ve tried these with and without primers and they crease regardless. These were €2.50 each which is inexpensive. I would rather spend an extra fiver and get the Maybelline Colour Tattoo cream shadows.